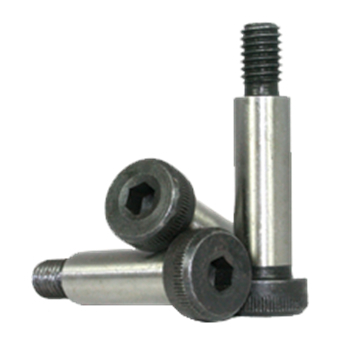 Socket Shoulder Screws are basically hex socket head screws with an enlarged, unthreaded, cylindrical shoulder under the head. They are used in rotation or sliding applications, such as pulley shafts, in punch and die work, or for use as a bearing pin. Socket shoulder screws are also referred to as "stripper bolts." RC Fasteners & Components stocks metric and imperial socket shoulder screws in alloy black oxide and stainless steel. We also stock them with a nylon patch and a nylon pellet.